Many of these plug-ins have similar or comparable plug-ins of equal – or possibly better – quality, but these are the ones I’ve chosen to use over the course of the two years since I started this site. 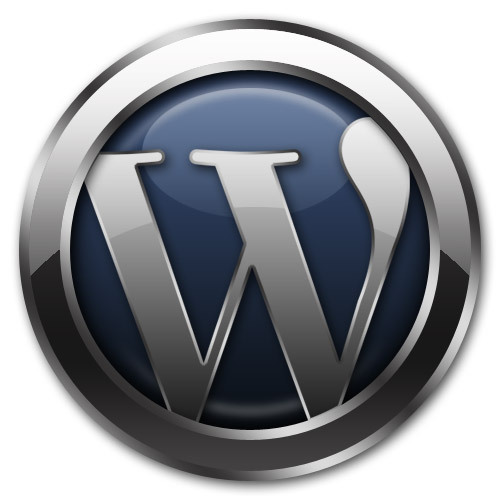 All of the plug-ins link to the developers’ sites, but can just as easily be installed from the WordPress control panel. Akismet – When battling the scourge of spam comments, Akismet protects the blog with a shield that reduces the amount of spam that reaches the site and reduces time wasted dealing with it. All In One SEO Pack – Increase your website’s visibility in search results by using this plug-in to improve your search rankings by featuring your keywords more prominently. April’s Facebook Like Button – When Facebook opened up their site to allow you to Like any site on the internet, every site added them, and JustJon.Net is no different. Audio Player – When I wanted to feature a clip from The Experience on Don Stugots on the site, I needed an audio player to do so. This was the player I chose to play the mp3 file. Contact Form 7 – Rather than linking to an email address, a good site should use a contact form. This plug-in is highly configurable and easily reusable throughout the site. FD Feedburner Plugin – RSS is a great way to get your website out there and allow users to subscribe to your content, but it is not easily tracked. Feedburner is a service that allows you to maintain and track people who subscribe to your site. Google Analytics For WordPress – The WordPress Site Stats are good for tracking number of hits to the site, but Google Analytics give much greater depth and gives a better understanding of who comes to your site and what they do on it. Google XML Sitemaps – An XML site map gives search engines an easy index to your website that will get your articles indexed and listed in Google, Yahoo, Bing, Ask and others much quicker. Meebo Bar – The Meebo Bar allows users access to their instant messaging and an easy way to quickly share your content on their different social networks, including Twitter, Digg, Facebook and StumbleUpon. Post Thumb Revisted – A plug-in to generate thumbnails from the images in the posts. This plug-in is used by my theme. Post Thumb revisited template library – A second plug-in used by my theme to generate and display thumbnail images. Post thumb widget – A plug-in used by my theme to display thumbnails on the front page of the site. reCaptcha – A plug-in to reduce spam by requiring people (or bots) attempting to leave comments to be able to read words from an image. Smart Archives Reloaded – It’s important to have an archive page to link to all your posts on a single page for both users and search engines. TweetMeme Retweet Button – Adds a button to each page showing how many people have tweeted a link to the page and allow them to tweet it easily. This may soon be replaced by the button recently released by Twitter. Twitter Widget – A plug-in to display my most recent tweets in the side of the site. WordPress.com Stats – A simple stat page that shows visits and integrates into the WordPress Admin easily. WP-Email – Adds a link to allow users to email a link to the post. Although the Meebo Bar allows this functionality, I like having it easily accessible at the top of the article. WPTouch iPhone Theme – For users who view my site on an iPhone or iPod touch, it formats nicely in Safari on their iOS device. Yet Another Related Posts Plugin – At the bottom of each post, up to five links to related articles are generated to entice users to view additional pages once they finish with the current article. These are the plug-ins currently running on JustJon.Net to keep it running and displaying to users and search engines. If there are any plug-ins I don’t have but should or better versions of ones I do run, let me know below.